This judgment [Hospira UK Ltd v Cubist Pharmaceuticals LLC  EWHC 1285 (Pat) (10 June 2016)] was handed down a little while ago, but this Kat only recently got round to studying it properly, containing as it does decisions relating to three rather different patents. 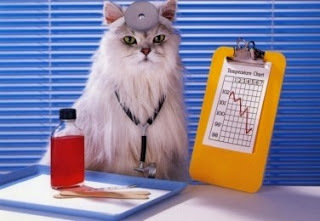 This report was co-written with chemist and IP enthusiast Benji Gibber, to whom this Kat is very grateful. This case concerns three patents owned by the defendant Cubist Pharmaceuticals LLC relating to the antibiotic daptomycin, originally discovered by Eli Lilly in the 1980s. Patent EP1115417 (“the 417 patent”) claims a range of doses of the drug to be administered once a day. The other two patents, EP1252179 and EP2264047 (“the 179 patent” and “the 047 patent” respectively), claim different methods of purifying daptomycin. The claimant, Hospira UK Limited, sought the revocation of all three patents, which were all considered in a single trial. Mr Justice Carr found all three patents to be invalid. This patent claimed daptomycin doses of 3-10 mg/kg to be taken once every 24 hours. Hospira alleged that the patent was not entitled to either of its priority dates. If the claim to the first priority date was found invalid, Hospira asserted that a press release by Cubist on 01/03/1999 anticipated the claims of the patent and also made them obvious. They also alleged that the patent lacked inventive step over a paper published by Lilly in 1992, referred to henceforth as Woodworth, a Phase I trial of daptomycin. “A method for the reducing muscle toxicity of daptomycin comprising the steps of administering to a patient in need of such therapy a therapeutically effective amount of daptomycin at a dose of 2-10 mg/kg of daptomycin and re-administering the same dose at intervals of between 12 and 24 hours”. There was no disclosure in its description of a once daily dose of 3-10mg/kg. For this reason, the claim to the first priority date of 25/09/1998 was held invalid. The second priority document contained more detailed information about trials of the drug on dogs, with an explicit disclosure of the dose range and the once daily regime of taking the dose. As a result, the judge held valid the second priority date of 24/03/1999. Woodworth was a phase I trial study of daptomycin in which healthy individuals were given varying doses followed by monitoring of drug plasma concentration over 72 hours. Woodworth observed that 4 and 6mg/kg doses had few side effects, and stated that the activity of daptomycin at the 6mg/kg dose would be expected to last 14-20 hours. From these results, it was predicted that a dosage of 4-6mg/kg of daptomycin in a day, in one or more doses over the day, would be the most effective. A person skilled in the art would know that for practical reasons, 24 hour doses were advantageous. The judge decided that a person skilled in the art, upon reading Woodward, would expect that a once daily dose of the quantities claimed in the 417 patent would be effective. Lilly failed to achieve a viable treatment using daptomycin around the time of the research for Woodworth, and Cubist argued that this meant that it was not obvious to the skilled person to reconsider this line of research into this drug. However, the judge noted that the need for new antibiotics had increased dramatically between the publishing of Woodworth and the 417 patent filing, so the lack of success by Lilly did not preclude the finding of obviousness. The Cubist press release announced phase II and III trials of daptomycin as a treatment for combatting life-threatening infections. In this press release, the dose of 4mg/kg administered every 24 hours was explicitly disclosed. It was ruled that this press release did not anticipate any of the claims, as the trials had not been carried out yet. However, it was ruled that a skilled person would expect that, as a phase III trial had been approved, efficacy must have been demonstrated in Phase II trials at doses which were sufficiently safe to proceed to Phase III trials, indicating a very good prospect of success and thus rendering obvious the claimed range in the 417 patent. US 843 discloses a method for separating and purifying a wide variety of fermentation products, one of which is daptomycin. The invention utilises a reverse phase non-functional HP-20 SS resin, a standard resin in this field, in a method known as hydrophobic interaction chromatography (HIC), with adsorption being carried out in aqueous phase and resolution in organic phase. Hospira alleged that it was obvious to use AEC in place of, or in conjunction with, HIC in the invention disclosed in US 843. Cubist argued that AEC was not an obvious process to combine with the HIC process of US 843, and therefore their claimed method was not obvious. Similarly to their defence of the 417 patent, they also argued that the fact Lilly did not adopt the AEC method, would lead the skilled person to assume it was ineffective. However, the judge noted that there was considerable motivation to improve on the 93% purity of US 843. The judge also rejected the allegation that the skilled person would simply use HIC multiple times to purify the daptomycin, as it would make sense to use more than one different method of purification to obtain a higher purity. It was also noted that AEC is well known to be an advantageous first step in a purification as it greatly reduces the volume of solvent in a general fermentation broth. As US 843 makes no mention of AEC being an unsuitable method for the purification of daptomycin specifically, it would be obvious to a skilled person to start with this method. Finally, US 843 refers to a feedstock of “partially purified” daptomycin. The judge decided that a skilled person would deduce that the feedstock would be compatible with US 843 if it had undergone a method of purification such as AEC, prior to the application of the invention disclosed in US 843. The judge held that all the claims for which independent validity was contended were obvious. With regard to lack of inventive step over general knowledge alone, the Judge held claim 1 to be obvious, since AEC is a standard method of purification, and tris(tris(hydroxymethyl)aminomethane), the buffer, and urea, the chaotropic agent, are both standard agents employed in such purifications. Furthermore, there was no disclosure in the prior art that such agents are ineffective in the purification of daptomycin. However, claim 3 was held to be inventive over general knowledge alone, as while Hospira argued that the steps outlined in claim 3 are well known in the field, Cubist asserted and the judge agreed that the order in which they are carried out is important, and this was not known in the common general knowledge. This patent claimed a method of purifying daptomycin by inducing its molecules to form micelles by varying the pH of a liquid mixture containing impure daptomycin while the mixture undergoes ultrafiltration. A micelle is a sphere made up of a number of surfactant molecules, characterised by each molecule having a lyophilic end (attracted to the surrounding liquid) on the surface of the sphere and a lyophobic end (little attraction to the surrounding liquid) pointing into the sphere. By switching between the larger micelles and the smaller surfactant monomers, it is possible to remove both very small and very large impurities with ultrafiltration. At surfactant concentrations above what is known as the critical micelle concentration (CMC), micelles begin to form. According to the invention, the CMC is changed by variation of the pH. Cubist argued that while it was common general knowledge that daptomycin is a lipoprotein, it was not obvious that it is a surfactant capable of forming micelles. This was rejected by the judge as it was recognised that the shape and structure of a daptomycin molecule, having a hydrophilic head and a hydrophobic tail, and its similarity to the well-known surfactant surfactin, would lead the skilled person to recognise its potential to form micelles. Standard tests could be carried out, which would confirm that this expectation was correct. Hospira argued that the invention disclosed in the 047 patent was obvious in light of a paper (Lin and Jiang, 1997) on the purification of surfactin, which stated that “this process can be further modified and employed for the recovery and purification of most surfactants from aqueous solutions at concentrations above the critical micelle concentration”. The process involved changing the CMC of the surfactant using the addition of methanol to filter out different sized impurities. Cubist argued that from Lin and Jiang it was not obvious that pH should be controlled to affect the CMC rather than methanol, and that at the priority date varying pH was not recognised as a method to control CMC, only temperature control, varying of the solvent, or adding an inert electrolyte. The judge decided that the fact daptomycin was a drug molecule would immediately deter the skilled person from using methanol in a purification process, given its toxicity. Also, a large amount of methanol would be required to induce the change in CMC, leading to the skilled person to look for ways to change the CMC that involved less toxic methods that are easy to control and require little addition of fluid to the mixture. It was considered obvious to the skilled person to explore how varying the pH would affect the properties of a substance, such as its CMC. Cubist also alleged that the process described in the paper would not remove all impurities from the surfactin mixture, so it would not be obvious to apply this imperfect purification concept to daptomycin. This too was rejected as at no point in Lin and Jiang or indeed in 047 does it state that this method alone would be used to remove all impurities, and that, as discussed earlier with regards to 179, the skilled person would be inclined to use this method in conjunction with other purifications to obtain the best results, and therefore would not dismiss the teaching of Lin and Jiang simply because it didn’t yield a completely pure biosurfactant. The judge decided that 047 was obvious in light of Lin and Jiang: even though the process it disclosed was for purifying surfactin, it explicitly stated that it could be reasonably applied to other biosurfactants; also, the use of methanol in the method would prompt the skilled person to seek a different way, one easy to control, to vary the CMC of the surfactant, and pH was a standard variable to change. Hospira argued that all the Cubist patents were insufficient as they described a method that obtained daptomycin with a D-Asn residue (the L’s and D’s indicate the “handedness” of each component amino acid) in the peptide, as detailed by Miao et al in a paper published in 2005, but daptomycin was earlier described by Balz in a textbook in 1997 (wrongly) as having an L-Asn residue in its peptide sequence (see figure 1A from Balz Biotechnology of Antibiotics). They argued that “daptomycin” as referred to in all of the Cubist patents would be understood as referring to the Baltz structure, but the patents did not enable a method of making daptomycin, characterised as having an L-Asn residue. The judge rejected this argument as the inventions disclosed in the Cubist patents did not entail characterization of a particular daptomycin isomer, since they were concerned with dose and purification techniques. Furthermore, the judge decided that a skilled person would recognise the large number of possible isomers of daptomycin due to the handedness of each component amino acid, and recognise that the inventions claimed in the Cubist patents reference the general daptomycin structure rather than a specific isomer. Lilly’s work was carried out between Balz and Miao, and was unaffected by a lack of knowledge of the stereochemistry of the daptomycin they were working with, so while the general understanding of the field changed over time, it was clear that the actual methods Lilly and Cubist used were effective without knowing the stereochemistry. The final verdict was that all three Cubist patents were to be revoked. The 417 patent was entitled to its second priority date, but was deemed obvious in light of both Woodworth and Cubist’s own press release. The 179 patent was decided to lack inventive step over US 843, and claim 1 was also obvious in light of the general knowledge alone. The 047 patent lacked inventive step over Lin and Jiang. So, the researcher in your final illustration: is it Balz, or could it possibly be Miao? I'm surprised at the lack of inventive step for the pH-changing method of micelle formation, or at least I would not agree with the reasoning as presented here. 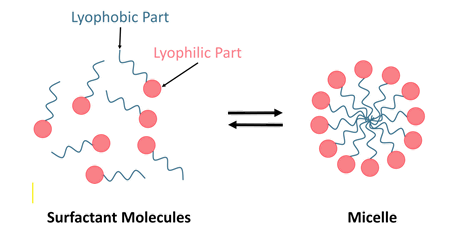 A skilled person would know that a micelle forms through hydrophobic interactions of a fatty tail part, and methanol (the known method) changes this interaction. If a skilled person were afraid of using methanol, he or she would perhaps try ethanol or isopropylalcohol. Known alternatives include altering the salt concentration of the buffers, or using still other cosolvents. Altering the pH does not mess with the fatty tail, it messes with the head (the charges on the peptide part that are not the fatty tail). So it goes via a different mechanism of influencing micelle formation, ignoring the tail. Its success is not at all Obvious because various intermediary charge states might lead to various aggregation states. If I were on the 047-side, I'd be pretty annoyed by the reasoning of why it wouldn't be inventive, because the reasoning appears to gloss over some low level lab practice. I would be interested to know any further thoughts you may have. In one sense the decision shows that the patent does not need to enable a method of manufacturing the “wrong” isomer of daptomycin incorrectly given in the literature, because the argument put forward by Hospira were rejected. But the argument goes as follows – if “daptomycin” as referred to in the patent actually means the incorrect structure in the literature (let’s call it “epi-daptomycin”), then the claimed method cannot be performed, because epi-daptomycin does not exist and the skilled person does not know how to make it. This was rejected because “daptomycin” was held not to refer to the incorrect structure epi-daptomycin, but to the real natural product daptomycin. A purification claim is a process claim. I think it is correct as a matter of law that to be enabled, the starting materials in a process have to be available. Otherwise, the process as claimed cannot be carried out. A patent has to enable the invention as claimed, not just the “clever” bit of it. If the claim starts from an unobtainable or unachievable starting point, then the patent is insufficient. If I claim “a method of purifying unobtainium…” but unobtainium is, well, unobtainable, then I do not have an enabled invention. I hope that this is answering the question that you were asking, and makes sense.